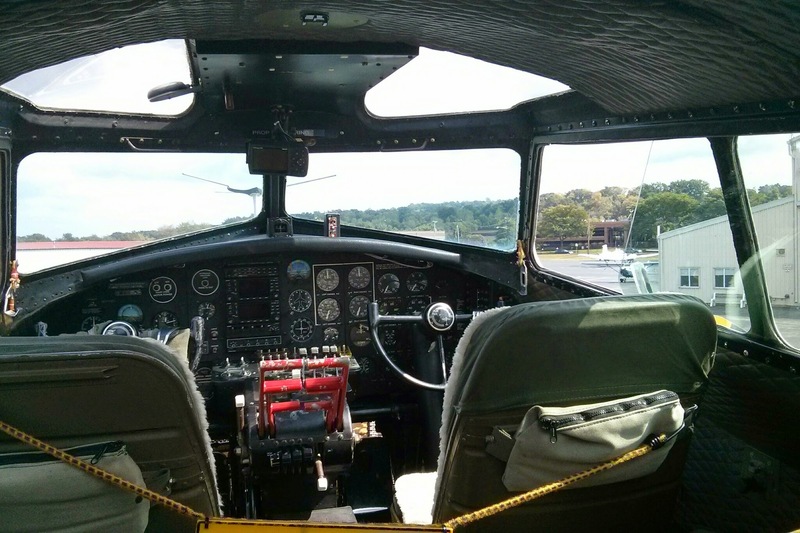 My stepfather loves aircraft, so when I learned that a fully restored B17 would be landing at Essex airport, we spent the afternoon visiting and touring this living relic. 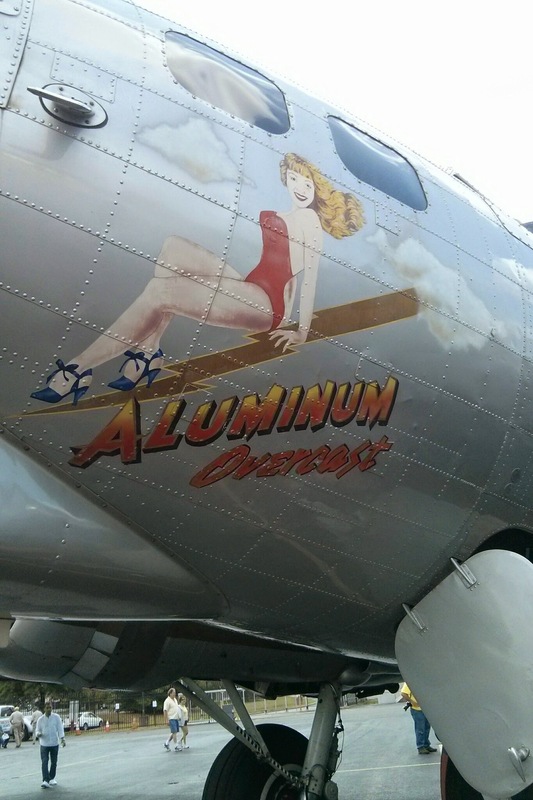 The Aluminum Overcast is one of a dozen remaining B17 bombers. 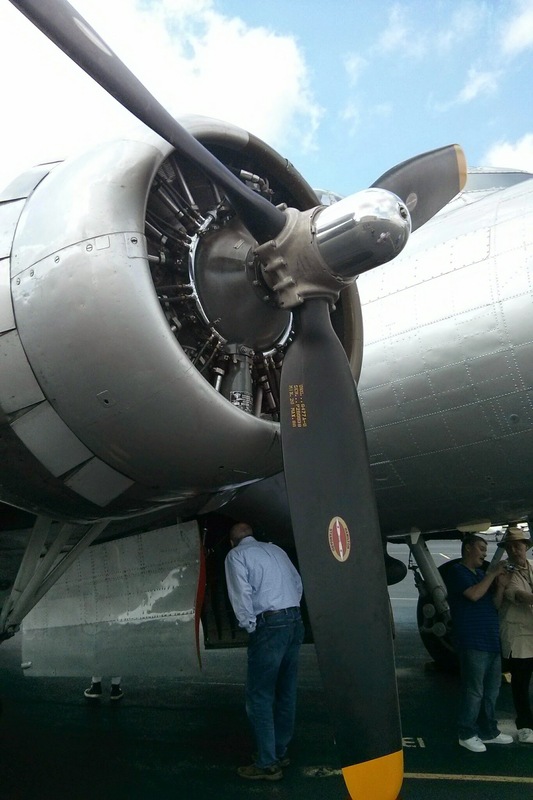 It never flew in World War 2, it was built in 1945 and scrapped for $750 after the war. 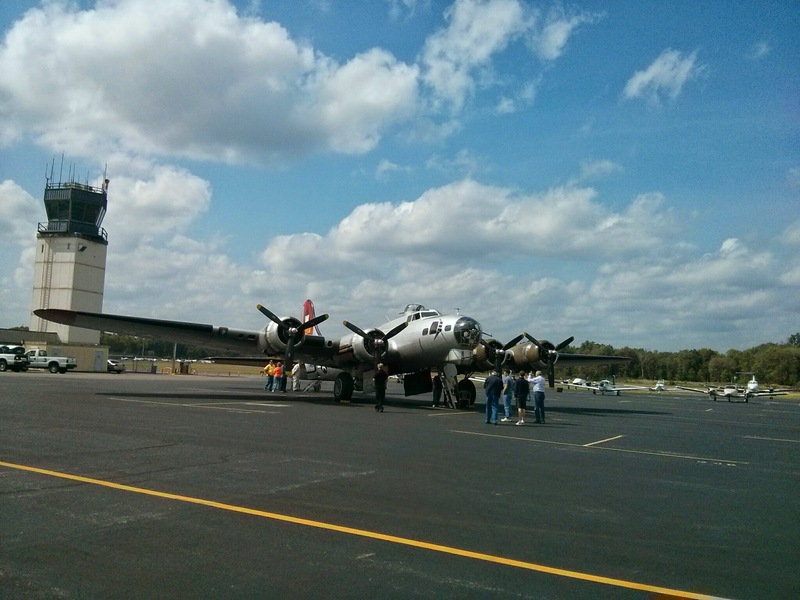 It was restored later, and is now toured by the Expeditionary Aircraft Association. A tour is ten bucks. A flight… well, that’s $475. A little steep for the both of us, especially since they want a full plane before taking off. They regaled us with a story of a rich woman who paid for a full flight for strangers just so she could go up, but none of us had five grand to spare. 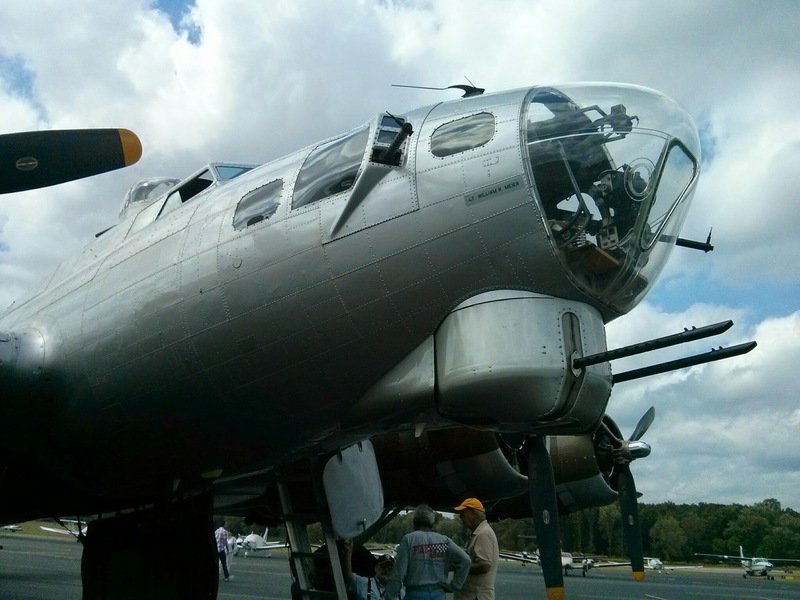 The B17 isn’t as enormous as you might think; it’s very tight in there, especially getting through the bomb bays. I made it through twice, to the plane crew’s amusement! I’ve got the beer belly but I am a grappler. I’m used to tight squeezes and flexing into contorted shapes, like crabwalking beneath the fuselage to get photos of the ball turret. 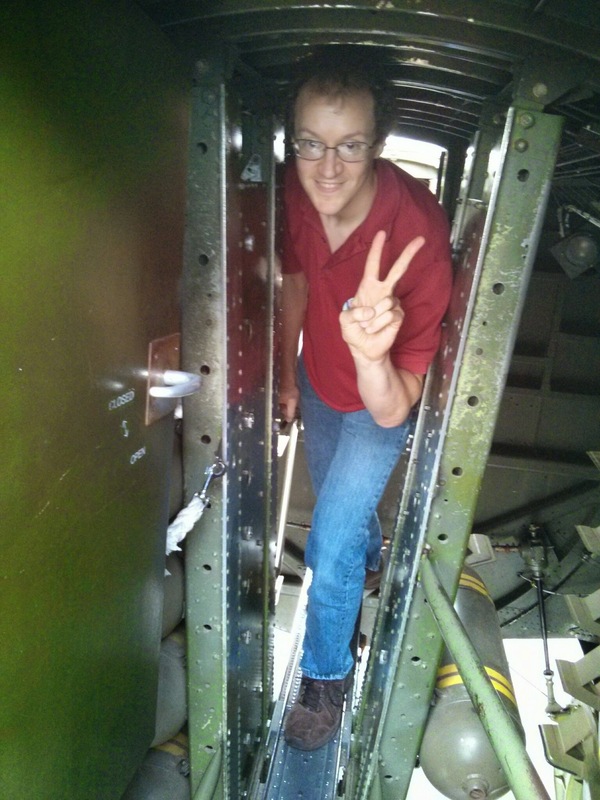 My friend Peter joined us later, that’s him in the bomb bay. He’s a 30 waist or something. A human javelin. 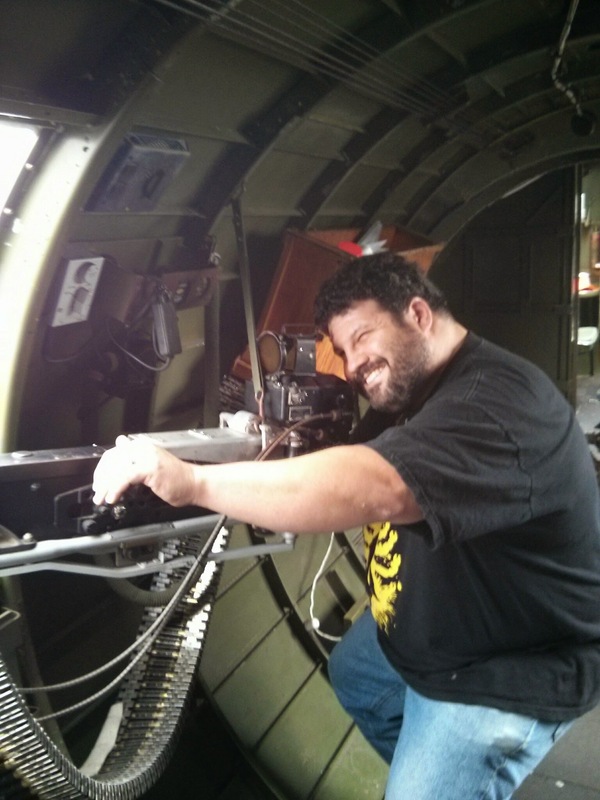 I was more at home manning the sidemounted M2 .50 caliber machine guns. 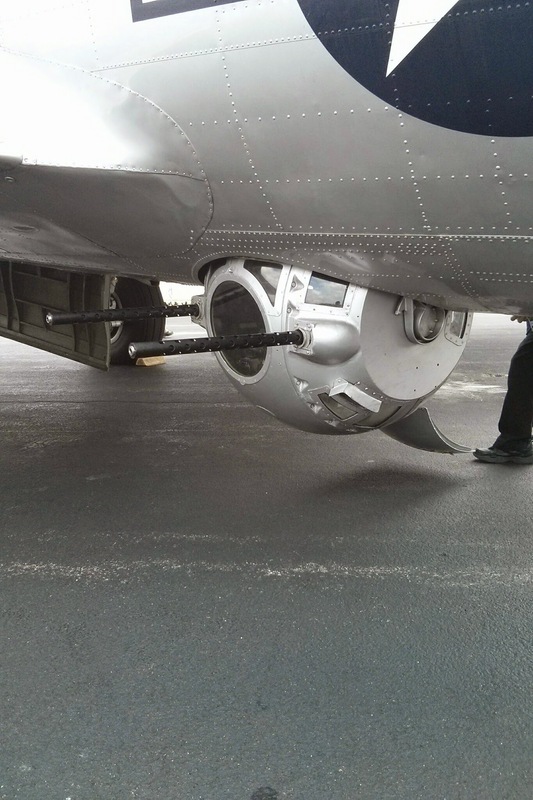 They only had a minute’s worth of ammo, to reduce weight. I easily weigh twice as much as two of the crew members would. These were small, young guys. 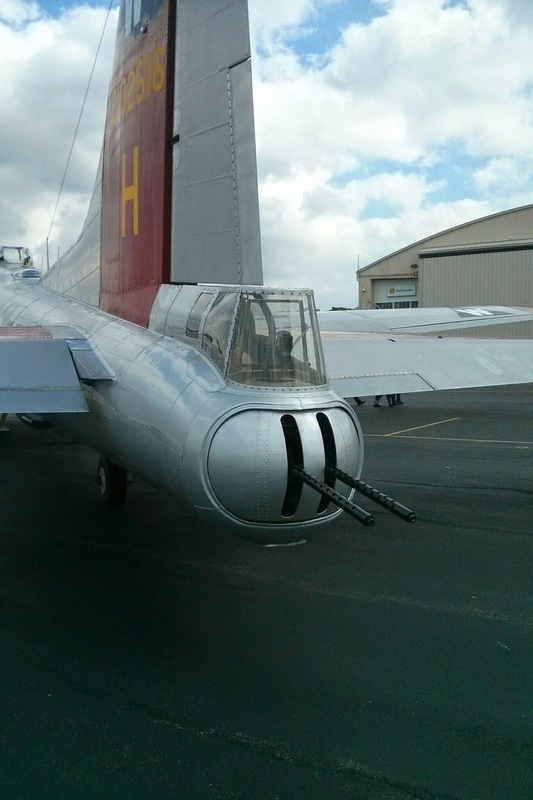 Here’s the rest of the photos, including the dual .50’s on the tail gun pod, and some closeups of the propellers, and the infamous ball turret where if the hydraulic systems were down, the unlucky gunner was unlikely to be able to get out, and became the landing gear. Great story, Les! Thanks for sharing. Your father sounds like he was one hell of a guy.